Due to the horizontal design, the horizontal cartoning machine will cover a larger area than the vertical cartoning machine. There are two models, WZH-100 and WZH-180, available. These two models correspond to cartons with different size ranges. 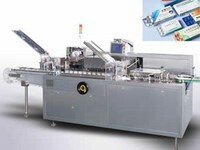 The WZH-180 horizontal cartoning machine has higher work efficiency, but it consumes more energy accordingly. Customers can choose the appropriate model based on the actual needs. 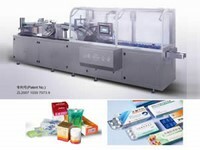 We are a professional horizontal cartoning machine manufacturer in China. We also provide vertical cartoning machine, softgel encapsulation machine, dry compact granulator, tablet press machine, and much more. 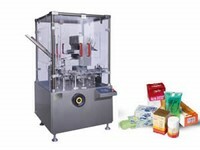 Automatic Strip Packaging MachineThe automatic strip packaging machine can conduct blister pack of tablets, capsules and other block items. 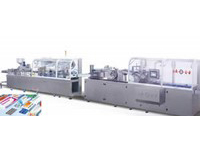 Automatic slitting, edge cutting and batch number printing can be completed by just operating on the man-machine interface. 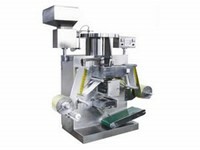 Powder and debris in the drugs can also be effectively cleared. Our product has two models, DLL-160 and DLL-240.